Dimensions: 35 Inches High x 32.5 Inches Wide x 35 Inches Deep. 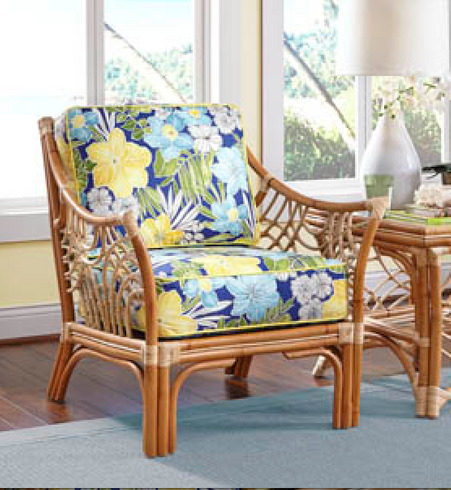 The Nassau rattan chair is shown in the fabric Clemens Sunblue. 35 Inches High x 32.5 Inches Wide x 35 Inches Deep.